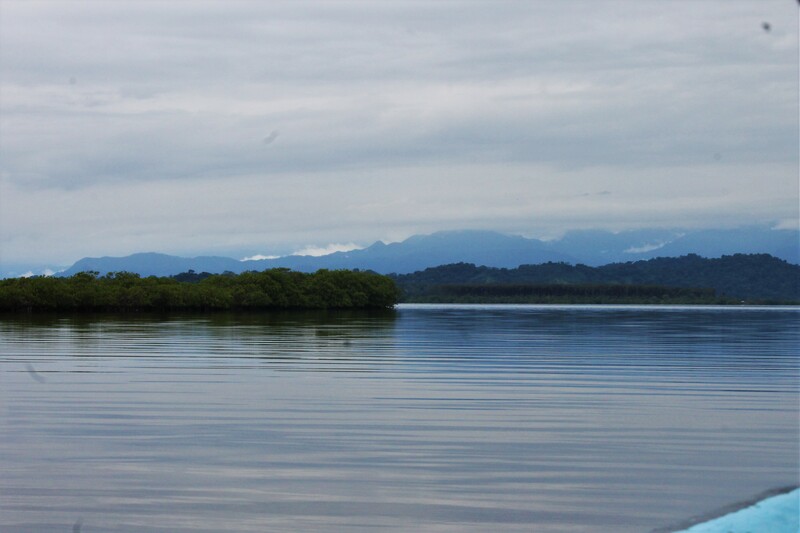 On the bumpy boat to the main island, Isla Colon, I was full of trepidation. I was squished between a woman from the Netherlands who had earlier kindly offered me a chocolate bar and the edge of the boat, exposing my skin to the strong midday sun and gentle sprays of the sea. I had left behind Puerto Viejo, my last stop in Costa Rica where I was unfortunately left impressed, yet I was nervous to go somewhere new. What if it could even be worse than Puerto Viejo? 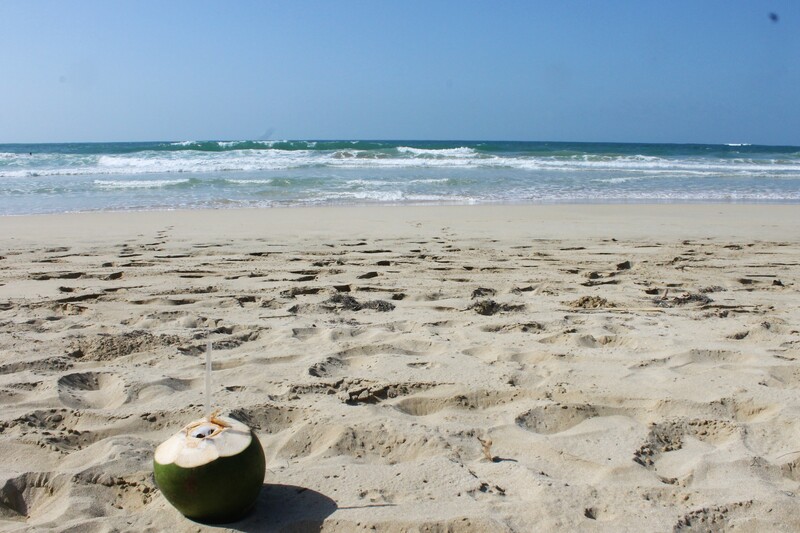 My luck changed the moment I saw the islands against a clear blue sky and a royal blue, glistening ocean. I thought (in a typically British fashion), well, at least it’s not raining, and if I don’t meet anyone nice, I can lay out in the sun and read my book. There will never be a time that the sun doesn’t playfully smother a smile on my face, whatever my mood beforehand. 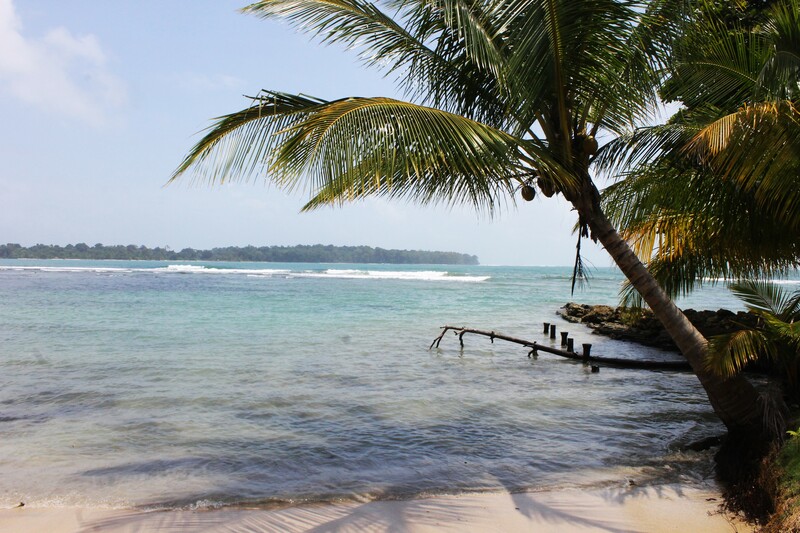 Bocas del Toro did for me what I love about travel: it made me feel alert to everything around me, in awe of my surroundings, happy, and, well, alive. I was surprised, honestly. In Bocas Town, there’s basically a main road which is a strip of bars and pretty geared towards tourists. Take places like Las Vegas, Malaga and the like, and I’d scoff – it’s not really my scene (most of the time). But somehow in Bocas it worked. Maybe it was the more relaxed, island vibe, reminiscent of the Central American flexible attitude towards time. Whatever it was, I felt almost at home. 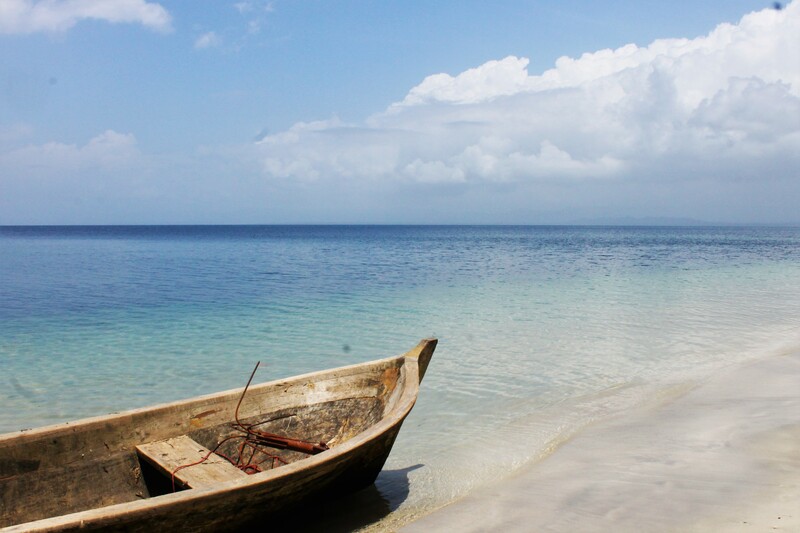 For $3, you could take a a 30-minute shuttle to Playa Estrella, or Starfish Beach. It may take a while to get there on poor excuses for roads, but the view is incredible. I spent a whole day going from sunbathing to floating in the transparent Caribbean Sea, only a few metres above tangerine starfish basking on the seabed. There was something so simple but beautiful about it. 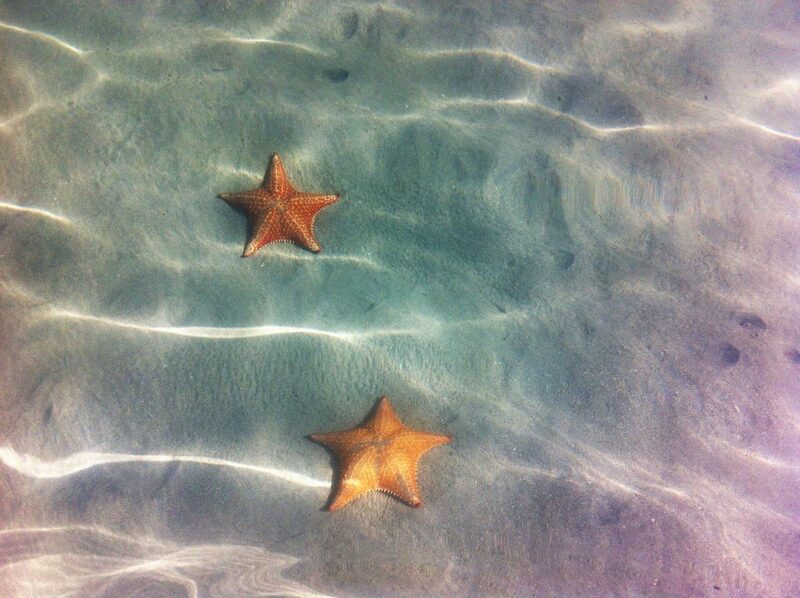 White sand, orange starfish, water turquoise with silver ripples. It’s a place that doesn’t seem real, but exactly what you need. 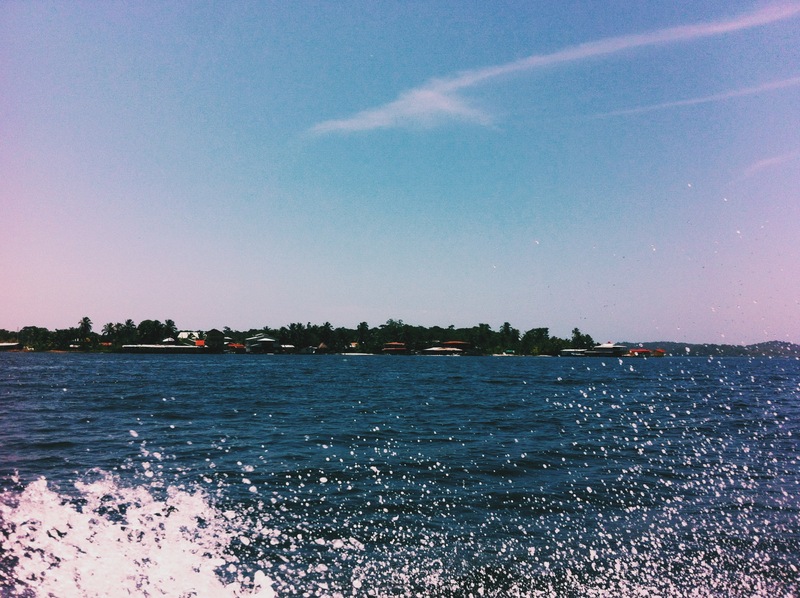 Bocas del Toro made me happy with the simple things. 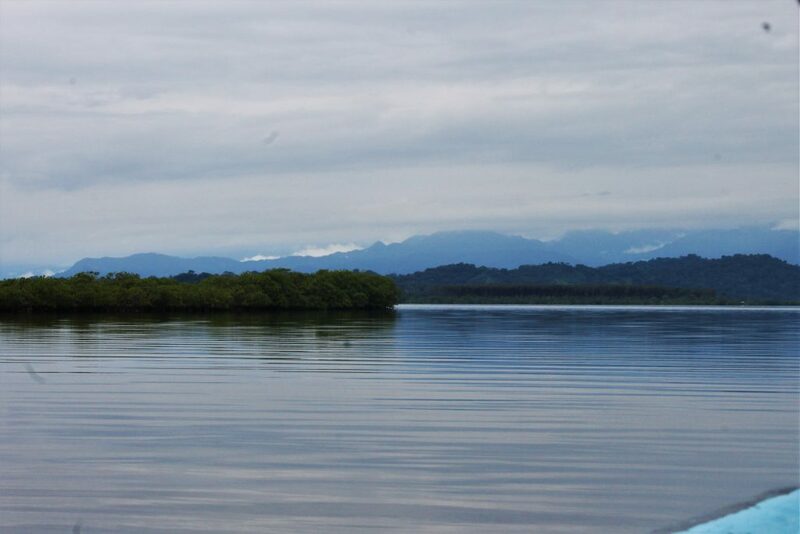 A dog splashing in the water, a hammock overlooking the islands, drinking a smoothie with a parrot on my arm, navigating my way through trees on a deserted island, silence while resting on a boat through mangroves, or standing on the front of it, unsteady but happy while watching dolphins. Interactions with the locals warmed my cold, Londoner heart, too. Strangers making me laugh, doing shots and being given free beer with a diving instructor, sharing a bottle of wine with one of the owners of the CineCafe, my morning chats with the hostel receptionist, the smiling, young Chocolate tour guide and the boutique shop assistant I talked to about moving to different countries and long distance relationships. 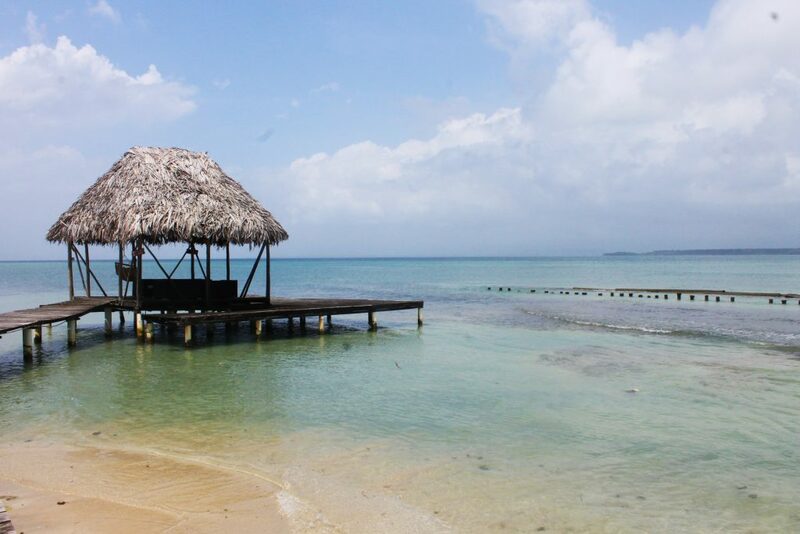 Bocas is warm, beautiful, welcoming and simple in that wonderful way where you start to realise it doesn’t get much better than that; to live simply and happily, content with just being and surrounded by sunshine even when the sun’s not shining (rarely). 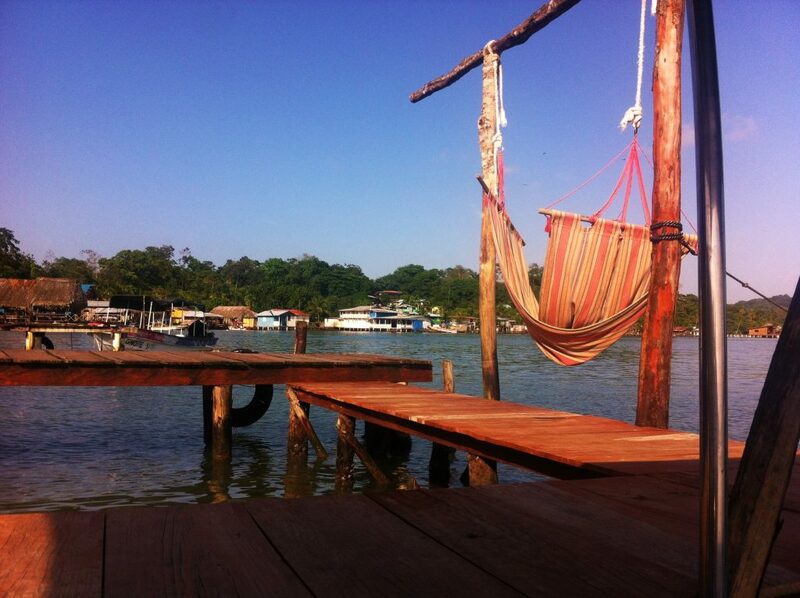 Bocas del Toro, I love you. Beautiful pictures. 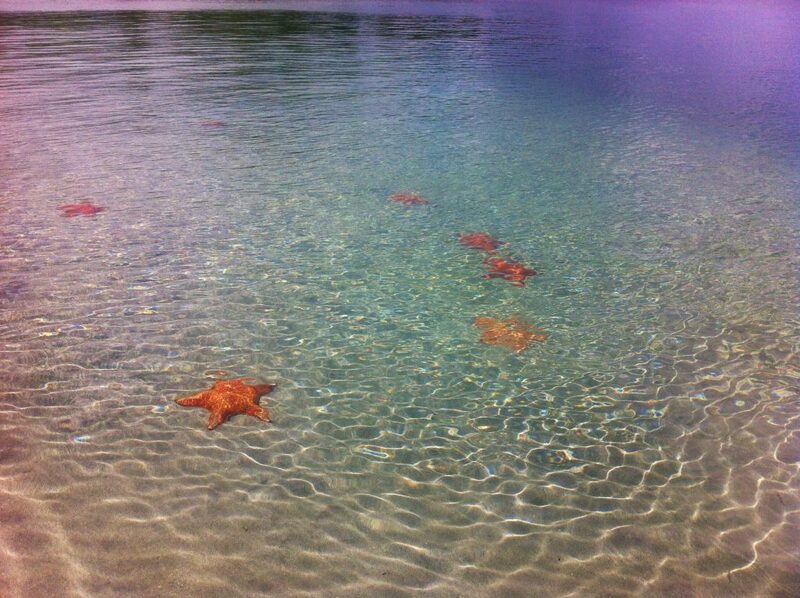 Those starfish, how amazing. Those colours are gorgeous! Glad to hear it impressed you more and things were looking up! Good to see things have improved! Those starfish are so cute too.